I am one of those strange people that love Black Friday. I love scouring the ads to plan my day. I love the early morning coffee to prepare my body and mind for the event. I love the crowds. I love the challenge of beating all the other people standing within 10ft of me to that last item on the shelf. I love the bags and bags of stuff that I proudly acquire even though I can’t remember half the time what I bought. It’s a tradition in my house. But not everyone loves the battleground that is Black Friday. In fact, most people I know despise it. I get it. I have friends and family that refuse to leave their house that day. If that is you, then you are in luck! With the internet today, we are able to order products and services with one click on a variety of devices. Heck, you could be watching football and Christmas shopping all from your smart TV. Amazing. Amazon is known as the leader of eCommerce. They sell hundreds of thousands of product to consumers every DAY. Incredible. So basically, whatever you are looking for is probably on Amazon. 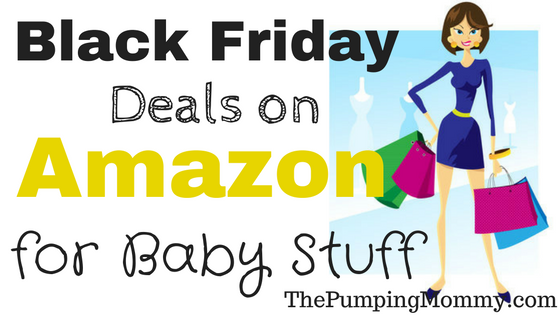 When it comes to Black Friday Deals on Amazon for Baby Stuff, you won’t be disappointed. While the exact Black Friday deals have not been released, Amazon is gearing up and there will be a ton of stuff at great prices. To count down the days, they feature Daily Deals and Deal of the Week which often feature great discounts on baby items like strollers, car seats, bottles, and other fun stuff. How to Take Advantage of Savings and Find Out Deals? The best way to take advantage of the deals on Amazon is to check in daily to find out what is being featured that day or week. Once Black Friday comes around, log in early and shop away! And don’t forget Cyber Monday! That’s a real day too and Amazon will be having even more great deals come the Monday after Thanksgiving. So be sure to check back then! I copied the links you need for each category to make it easy for you to check in, so bookmark this article and click the links daily to see the deals! Just click on the banners below to see the deal page. Easy Peasy. Enjoy! Count Down to Black Friday 2018! This will be your go-to page before Black Friday! Amazon is counting down to the big day with deals all day, every day. You’ll find Amazon’s fantastic early Black Friday sales right here. So make sure you check here daily so you don’t miss the amazing daily deals! One of my favorite lists! Got tons of ideas from here… This is the top kid-picked toys for the year! At times I have no idea what my child is talking about when he explains a toy to me. This helps clear up some of that confusion. Great ideas for gifts, stocking stuffers, and more! The Top 100, the best of the best, call it what you may. Amazon’s Top Seller list which includes the toys that are sure to be at top all the kids’ lists this year, ideal for the busy shoppers who want to quickly and conveniently shop a condensed version of the Holiday Toy List. They’ve brought the best brands in toys and character favorites together in one place. Love this list! Science, Technology, Engineering, and Math toys are a huge trend in toys and Amazon has the best selection. STEM toys go beyond the classroom to educate and excite kids of all ages. STEM toys encourage kids to develop skills in STEM and help kids learn through exploration, creativity, and play. This Holiday Toy List captures the best of the best STEM toys, including the Fisher-Price Think and Learn Code-a-Pillar and K’NEX Education STEM Explorations Swing Ride Building Set. If you want some alternative toys for your little genius, STEM toys are a great pick! This is a great list of pretend play toys that Amazon features. Everything from play food If you need some ideas for Christmas for your little one who loves pretend play, this is the go-to list! Bookmark the products you love and watch for daily/weekly deals! Some are on sale now, so check it out! Kids are great with technology and these app-enabled toys are fun and engaging. From robots to digital cameras, there is something for every kid who loves technology. These are some of my favorite toys. Being a mom of boys means having little hands constantly trying to figure out how things work. Tech toys are perfect for those little engineers-to-be! If you are considering a Kindle for your child, Black Friday just might be the perfect day to pick one up. Perfect for those kids who love to read! They are quite affordable and make great gifts! We opted to get these for our kids since they use tablets in school nowadays and the apps are available on the google play store and the parental controls are amazing. Last Black Friday, we picked up a bundle of 2 and saved a ton! There are some great sales for adults, too. So be sure to check them out! This probably one of my favorite things to put in stockings for adults. Amazon Dash Button is a Wi-Fi connected device that reorders your favorite product with the press of a button. Basically, you choose a brand button like Tide laundry detergent, stick the Dash Button in the laundry room and when you run low on Tide, hit the button and a reminder is sent to your Amazon account to be sure to reorder that item. Isn’t that genius!? They have over 200 brands to choose from so there is something for everyone! Give it a try. One of my favorite things! If you haven’t stepped into the world of the Fire Stick, you need to check this out. It allows you to stream thousands of movies, TV shows, etc. We have been able to cancel cable completely and still watch our favorite shows! Give it a try! Great gift! If you are looking for an affordable tablet, the Fire HD is a good place to start! This is a tablet made by Amazon. There are some good perks too if you are a Prime Member. Worth reading about! Don’t Forget to Sign Up for Amazon Prime! I have been a prime member for years and joined the Amazon Family program where you can get great deals on diapers, wipes, and more family items along with free two-day shipping. Well worth the money! You will save a ton of money this Holiday Season by becoming a Prime Member. They offer a 30-Day FREE Trial, so sign up and give it a go! Holiday shopping can be overwhelming, especially if you hate the crowds. You can’t deny the saving that Amazon has to offer and their sales are great. 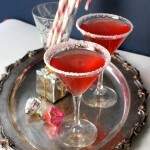 So grab a cup of Joe, slip on your fuzzy, pink slippers, sit back and do some holiday shopping. Away from all the crazies. No loading and unloading the kids, lugging the stroller around, having to run over complete strangers as they get in your way, and best of all NO WHINING! I love this idea so much, I might be willing to give up my tradition and stay home for a change. Especially the no whining part… A mom can dream, right? 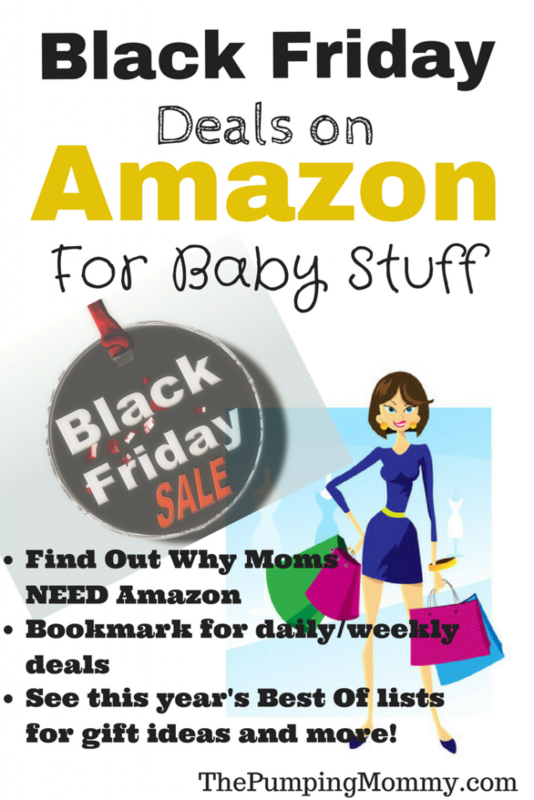 I hope you found these lists helpful as you plan out your Black Friday shopping! I hope your day is filled with peace and quiet! 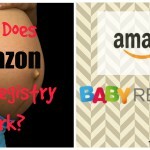 How Does Amazon Baby Registry Work? Baby Gear Reviews – Find out what works and what doesn’t before you buy!